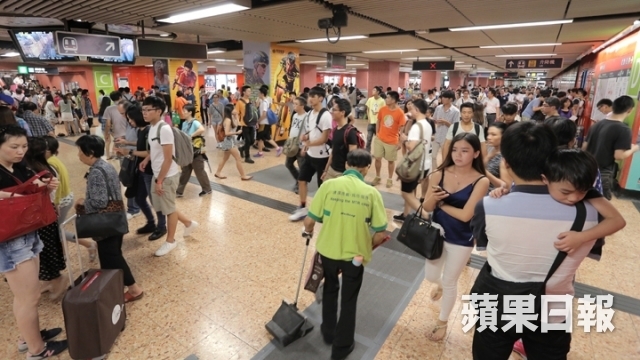 The MTR announced on Thursday that it would expand the paid area of Mong Kok station by the end of August, prompting criticism on social media. The existing central concourse—outside of the paid area and marked by several large TV screens—is a popular meeting point. It is located between exits C and D, connecting Langham Place and Argyle Centre. The central concourse area of the Mong Kok station. Photo: Apple Daily. In a statement, the company said the move will allow “smoother passenger flow between the concourse and platform levels,” adding that staff will be stationed to inform passengers of the new plan. Many internet users are upset with the railway operator’s move. 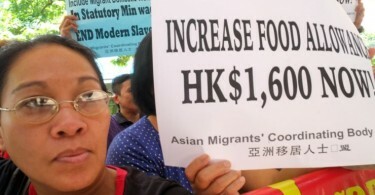 Another criticised the company’s move, saying that the size of the concourse was already too small to accommodate the volume of people. Speaking to HKFP, the company said it had noticed that many riders like to wait in the central concourse area. It said people may “need to change their habits” and suggested members of the public use the “existing passageway above concourse level” to reach Langham Place or Argyle Street. Mong Kok station is one of the busiest train stations in Hong Kong. It is located along Nathan Road near the Argyle Street. The five exits of the station connect Langham Place, Sai Yeung Choi Street South and Portland Street.